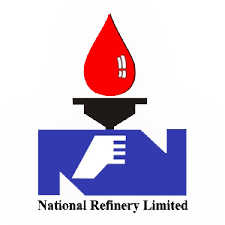 The Government of Pakistan had decided to place the National Refinery Limited under the administrative control of Ministry of Petroleum & Natural Resources in November 1998. In June 2003 the Government of Pakistan decided to include NRL in its privatisation programme. The selling of 51% equity and transfer of management control to a strategic investor had been proposed accordingly, the due diligence process for the privatisation was initiated. After competitive bidding NRL was acquired by Attock Group in July 2005. The Company has been privatised and the management control handed over to the new owner Attock Group on July 7, 2005. NRL is engaged in the manufacturing, production and sale of large range of petroleum products. The refinery complex of the Company comprises of three refineries, consisting of two lube refineries and one fuel refinery. First Lube Refinery commissioned in 1966 with designed capacity of 3,970,500 barrels per annum of Crude Processing and 533,400 barrels per annum of Lube Base Oils. Second Lube Refinery was commissioned in 1985 with designed capacity of 700,000 barrels per annum of Lube Base Oils, which came to 805,000 barrels per annum after re-vamp in June 2008. The Fuel Refinery was commissioned in 1977 with designed capacity of 11,385,000 barrels per annum of Crude processing; after first revamp the designed capacity came to 16,500,000 barrels per annum of Crude processing in 1990 whereas after its second revamp the capacity has been further enhanced to 17,490,000 barrels per annum of Crude processing, commissioned in March 2017. The BTX unit was commissioned in 1979 with design capacity of 180,000 barrels per annum of BTX. In June 2017, NRL also commissioned UOP licensed Diesel Hydrotreater Unit having capability to produce 29,765 BPSD of EURO II specification HSD as directed by Ministry of Petroleum Government of Pakistan. The plant has a capacity to reduce Sulphur content to as low as 10 PPM. In October 2017, the Company has successfully commissioned Isomerization Unit having capacity to process 6,793 BPSD of light Naphtha into Isomerate. The plant will meet increasing demand of Motor Spirit in the country.